The Byomic Beginners Reflector 76/700 + suitcase is temporarily sold out. 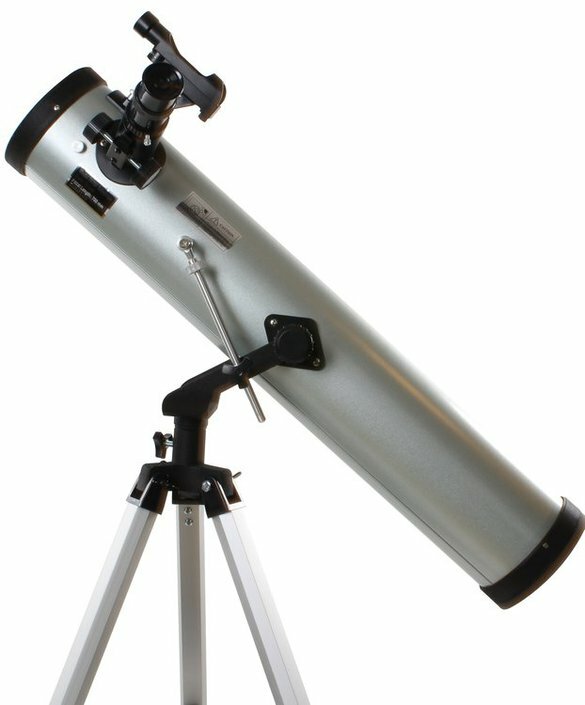 This Byomic junior reflector 76/700 is an excellent model for beginners, who are taking their first steps in astronomy. 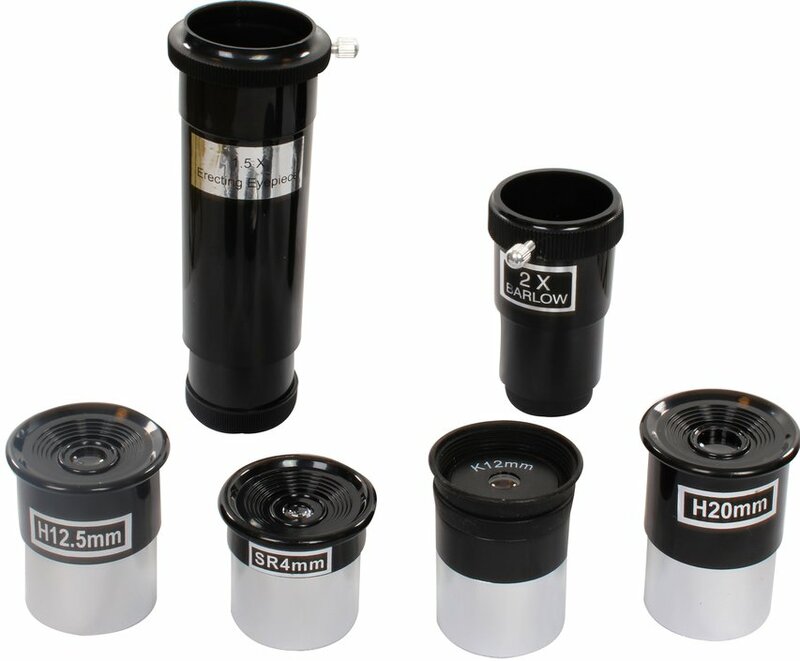 The telescope has a 120x zoom and comes with three eyepieces: 4 millimeter diameter, 12,5 millimeter diameter and 20 millimeter diameter. 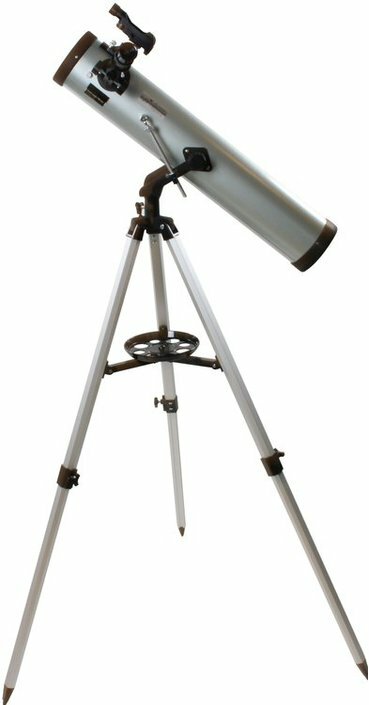 Because of these qualities, the Byomic Beginners Reflector is suitable to observe moon craters, or the details of Saturn. But you are able to watch other bodies as well. 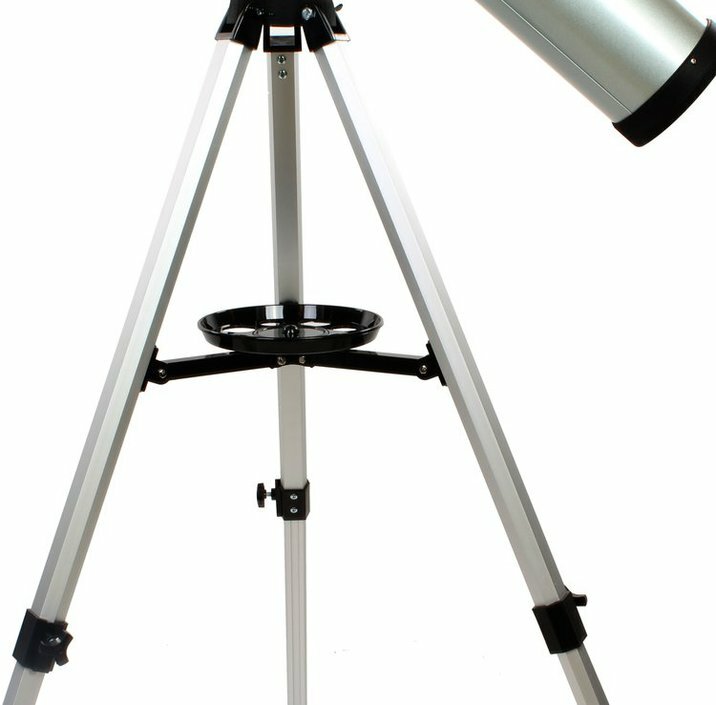 The telescope comes with an adjustable tripod, made of firm aluminium. It has an azimuthal fitting. Beware! 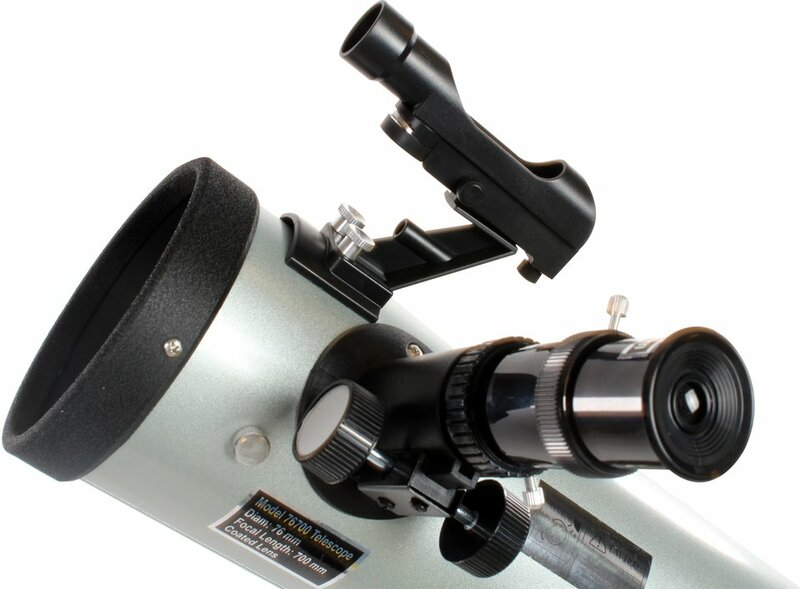 Even though a finderscope is pictured, you will receive a red dot finder with this telescope. This makes it even easier to aim at the objects you want to watch. Thanks to the red dot, you will be able to see what your telescope is aiming at. A practical suitcase is delivered with the Byomic Beginners Reflector 76/700. This way, you can easily take the telescope with you and watch the heavenly bodies. Two Barlow lenses, a reverse lense and a lens shield with a small gap to reduce light are delivered with the scope. 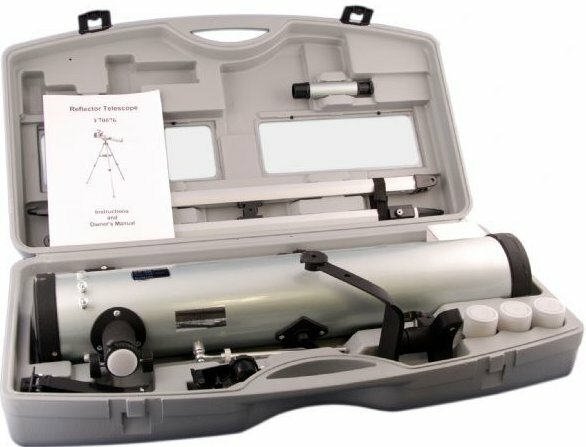 This telescope is a reflector, also known as a Newton telescope. A reflector provides very clear images. 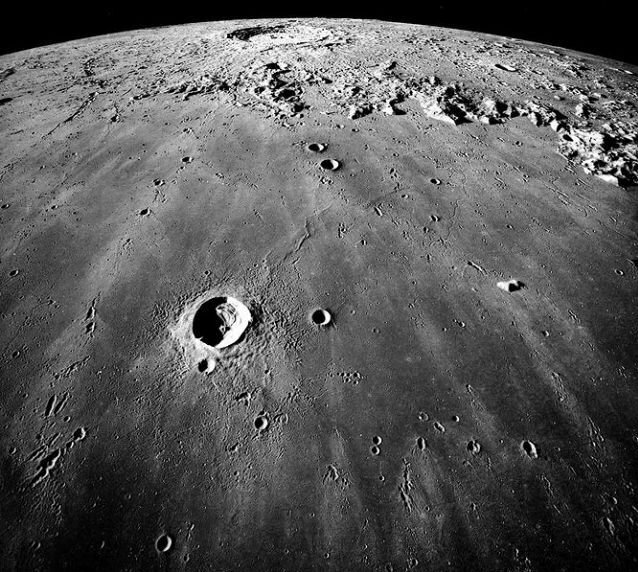 The large light-collecting area and the relatively small focal length of the reflector will give youi clear images of bodies that are far away. The large diaphragm (the mirror) of the reflector can show you detail with great precision, especially with good viewing circumstances. Write a review By sharing your experience with the Byomic Beginners Reflector 76/700 + suitcase, you can help others (perhaps still doubting customers) with making a good choice.